I’ve been organizing the WordPress Orlando Meetup since near the start, all the way back in late 2011. For me that was my first introduction to the idea of a community around WordPress, and that led to my involvement in my first WordCamp in 2012. Since then I’ve traveled to dozens of WordCamps, speaking, volunteering, organizing, and even occasionally attending without having all of that extra pressure ???? Having Matt Mullenweg stop by your Meetup is ???????????? There are a few things that I’ve learned about hosting recurring events for people that you don’t always see outside of that community. Some of these were taught to me by others locally, some were shared from the supportive network of the Make WordPress Community, and some were those harder learned lessons, where I had to experience firsthand when things don’t always go according to plan. I can’t say that these are the most important lessons of all, but since I’m prepping for our WordPress QA Meetup tonight, I thought I could jot down a few of the things that I find important for a Meetup. I mean you should try to choose a place that is quiet enough to hold conversations, but not so quiet that you’re intruding on it. Ideally select a location where you won’t be a disturbance to others nearby, and they won’t be a disturbance to your group. Libraries have been good for us for this, as well as private office spaces generously donated by supportive businesses. These are places that you can generally have a multi-hour meeting without disturbing anyone else, and if you look hard enough you can find people willing to give you space for free. We generally choose companies that are in the web and marketing space, since they would have a natural overlap with our group. Coffeeshops and other public venues can also be used if they fit what you’re looking to do. We host a monthly coffee Meetup at a local coffeeshop near my house. I chose that location because they make the best coffee around Orlando, they are locally owned and get a business boost by us being there, and they have faster internet than I have at home. The casual environment is a good setup for our conversational Meetups, where we naturally form small groups to chat, help each other with websites, and meet new people. Hands-on Workshops are a huge hit for our group. Again, have some guidelines, and certainly let people know in advance what you want to do at the Meetup so they can determine if it’s good for them to attend. You can do a variety of Meetup styles, and they don’t all have to be lectures or be the same from event to event. We’ve hosted events that are standard lectures, deep dives on one topic, several short talks with a general theme, QA sessions, hands-on workshops, and the aforementioned coffee chats. We even hosts parties and social events, like the WordPress 15th Anniversary Party that we’re holding next week. I’ve found that having different topics each month, as well as giving an idea of the level of familiarity that you should have with that topic before attending helps. We’ve had people mention that they thought the group would be too technical for them, so we do our best to make everyone feel welcome. Indeed, our makeup of events skews heavily toward business owners and bloggers, the people that make up the largest portion of the WordPress user base by far. It’s our job and my pleasure to make sure they get something valuable out of attending an event. 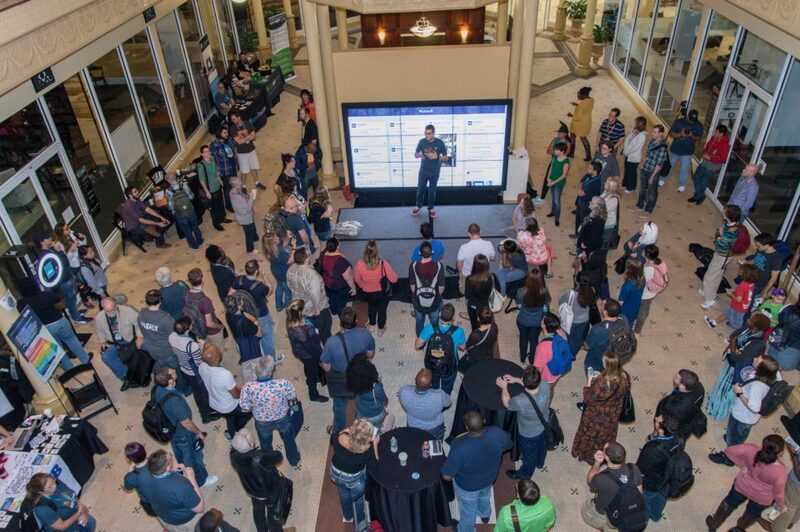 Orlando is lucky to be situated to have one of the largest WordPress Meetups in the world. We’ve got a passionate base of attendees that show up to most events, and a healthy cycling of new members each month. Though a crowd is always nice when you’ve got a stage! That said, we’ve noticed attendance dipping. Not always that we have fewer people attend, although that’s sometimes the case, but that we have higher RSVPs and a higher number of no-shows. Sometimes this can be upsetting when I provide food for the Meetup that goes uneaten, but it’s worst when we’re in a venue that we have to limit RSVPs and I know that there are people who didn’t make it because someone took a seat and didn’t show up. 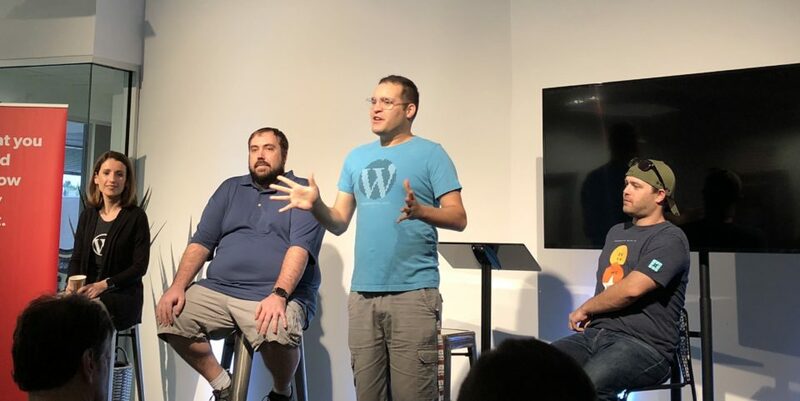 We’ve hosted individual events that had a handful of attendees all the way up to 100+ people who are passionate about WordPress. The size of the event doesn’t matter as long as some time can be made to let everyone know what they can do, who is welcome, and that whatever reason they chose to come will be heard. Sometimes those smaller Meetups can be even more fun, since they take less planning and can have more intimate conversations. I get to learn a lot from a wide group of people who know lots about something that I know nothing about, and they can hopefully learn something about WordPress from me. Maintaining some sort of online presence is useful to keep people connected outside of events. Our website, Facebook group, Youtube, and Slack team, are resources for all members with notes from our previous Meetups and new discussion. Having some way to remind people how they can reach you is important. We have a banner that we bring to each event, so that someone can snap a picture of it to remind themselves of our URLs later. I shortened them with redirects from our main website to make them even easier to type in. Having a Code of Conduct is super important. We haven’t had too many issues where we had to enforce ours, but they’ve happened. Having some sort of guiding document is a good start to ensure discussions flow around inappropriate behavior. Have fun with it! This is a volunteer group with all volunteer driven events. I try not to let it consume all of my time, and try not to go overboard on fancy venues and food when it’s coming out of pocket. Survey after survey have shown us that people come for the content and community, and that everything else is secondary. 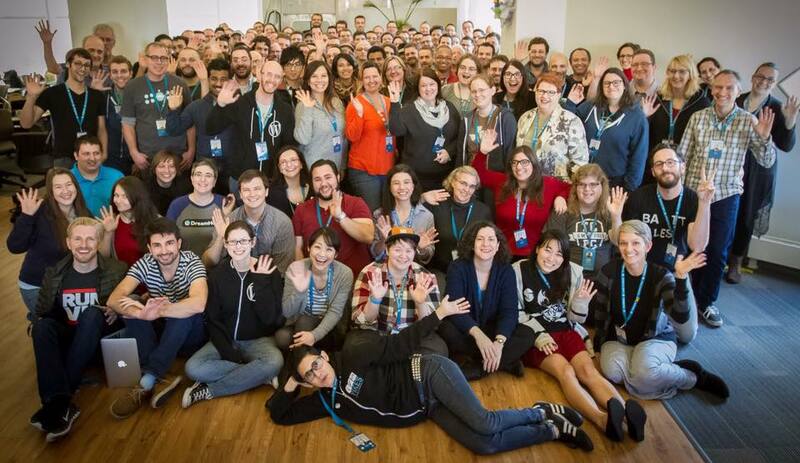 If you want to start a Meetup in your area or get involved in an existing one, do it! 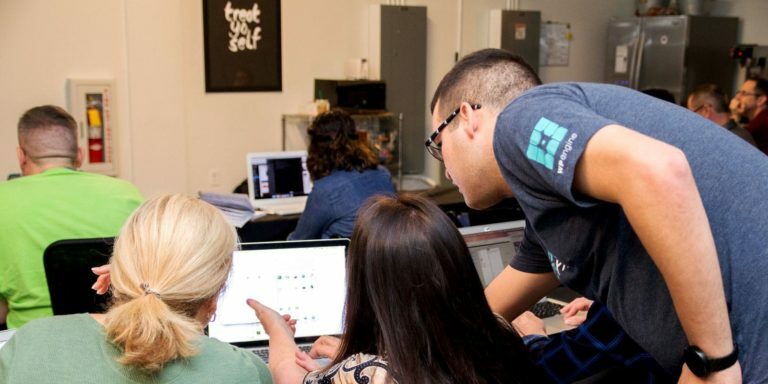 It doesn’t have to take a lot of time and energy to get started, and the Make WordPress Community can provide additional resources, including funding for venues. Seriously, these people are amazing!